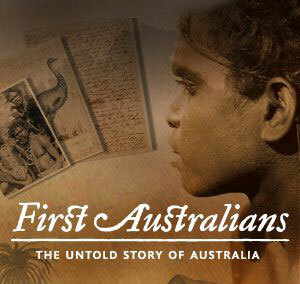 First Australians is a landmark documentary series that tells a very different story of Australia. 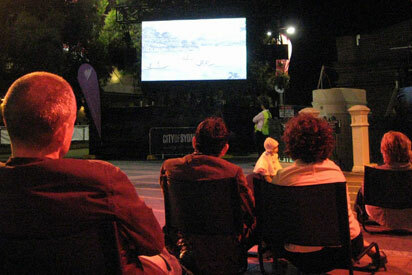 It has been described as "one of the most significant documentary series in the history of Australian television". For the first time, the story of Aboriginal Australia has been condensed into a coherent narrative that begins with the mythological birth of humanity on this continent - the Dreaming - and ends in the aftermath of Eddie Mabo's landmark native title victory. In seven episodes First Australians explores what happens when the oldest living culture in the world is overrun by the world's greatest empire. The story begins in 1788 in Sydney, with the friendship between an Englishmen (Governor Phillip) and a warrior (Bennelong). The first Australians and the powerful British Empire come face to face. Friendships quickly form despite immense differences, but within three years both sides are locked in a battle for land and survival. It is a myth that the first Australians were eradicated in Tasmania. It should be their resilience, in spite of the overwhelming impact of white settlement, which is embodied in myth. When the land grab moves south to Tasmania, in an effort to protect the real estate prices, it is decided to remove the Tasmanian Aboriginal people from the island. The Government enlists an Englishmen for the job, who is helped by a young Aboriginal woman Truganini. The threat of extinction hovers over the first Australians of Victoria at the time Wurundjeri clan leader Simon Wonga seeks land from the authorities. He soon gives up and leads his people to the banks of the Yarra River, claiming a parcel of land, Coranderrk. With the help of a Scottish preacher, and inspired by the farming practices of the settlers, the community prospers - until the authorities step in and resist self determination. First Australians is a series by SBS Television. Throughout the history of white settlement, individual white men, good and bad, have significantly affected the first Australians. Supported by pastoralists keen to make their fortune, the homicidal police officer Constable Willshire, brings mayhem to the Arrernte nation in Central Australia. With the authorities turning a blind eye, the telegraph operator Frank Gillen stops him. Gillen's other legacy is comprehensive records of the Arrernte people's way of life. Jandamurra is born on a cattle station in the Kimberley in the 1870s. His hybrid life takes a bloody turn when he trades in his status as a police tracker for his own people. Gladys Gilligan is one of more than 50,000 half-caste children plucked from her family and sent to a mission. The Chief Protector of Aborigines, A.O. Neville, institutionalises her first son, orders her to be arrested, and denies her the right to marry three times, but she remains resolutely independent. A mass political movement helped win constitutional rights in 1967, but it was built on successive, strategic campaigns conducted by the first Australians from the 1930s. Yorta Yorta man William Cooper forms the Australian Aborigines League in 1933 to continue his life-long campaign for equality. His nephew also becomes a political animal; Doug Nichols is a Church of Christ pastor who becomes a champion for those affected by the Maralinga nuclear bomb tests in the 1950s. This episode of First Australians investigates land rights and Eddie Mabo. Note: Some images and voices may upset Aboriginal and Torres Strait Islander viewers. Don't miss the accompanying book First Australians published by Melbourne University Publishing. Six years of research and preparation led to the making of First Australians. - sourced 260 hours of interviews from archives.